1 technical drawing ; 16 x 24 in. Item is a drawing of the overall layout of the Oland's Brewery building in Saint John, New Brunswick. 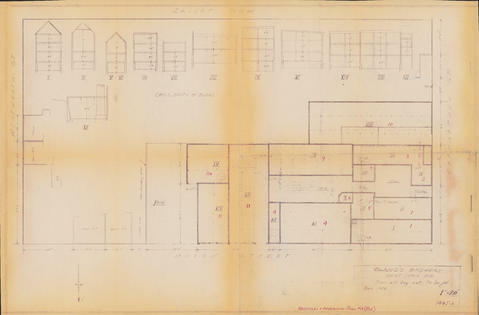 The drawing includes a floor plan of the different sections of the building and side views of each section of the building, with measurements for the height of each floor in each section. The creator of the drawing is unnamed.